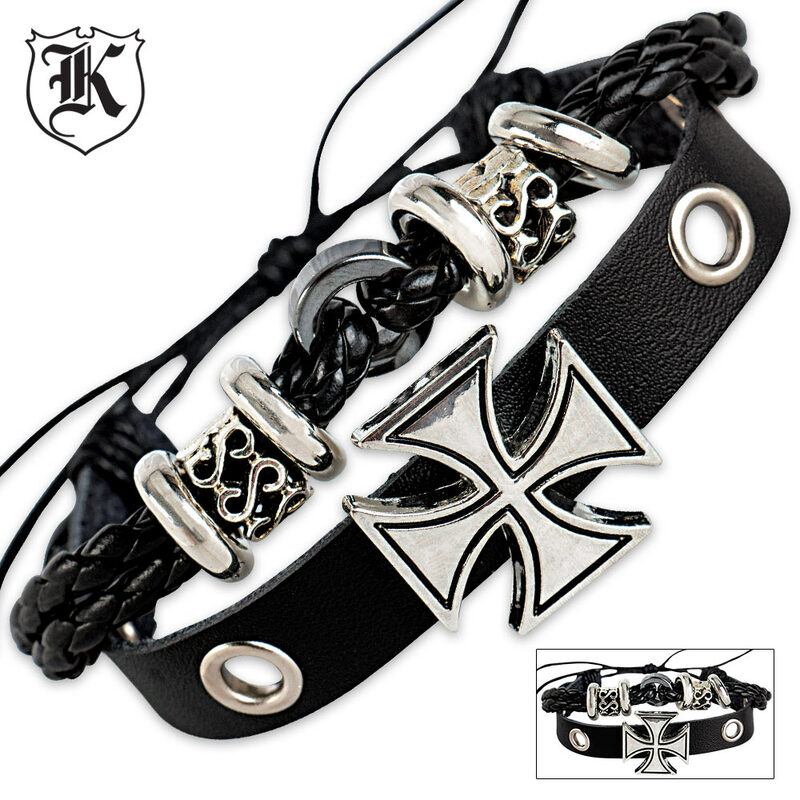 2PC Black Leather Bracelet | BUDK.com - Knives & Swords At The Lowest Prices! 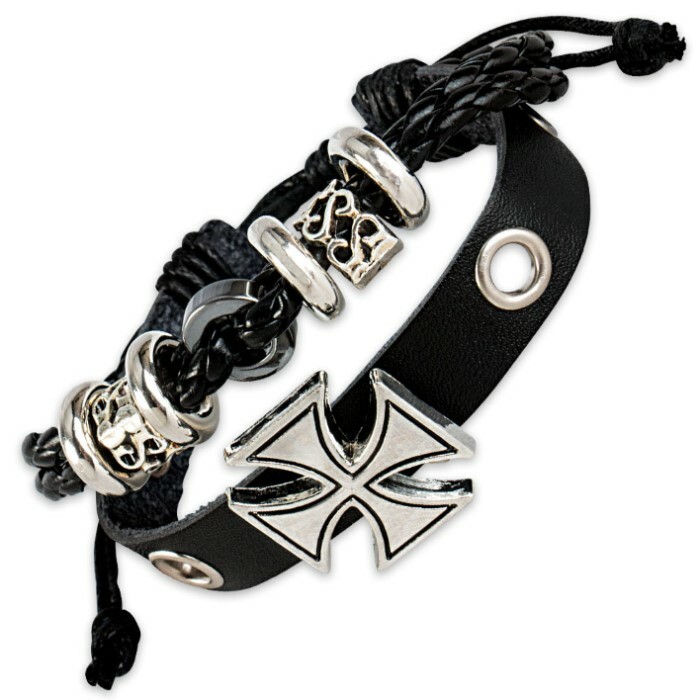 A stunning piece of jewelry crafted in mirror polished silver tones and genuine black leather, you will want to add this to your jewelry collection. 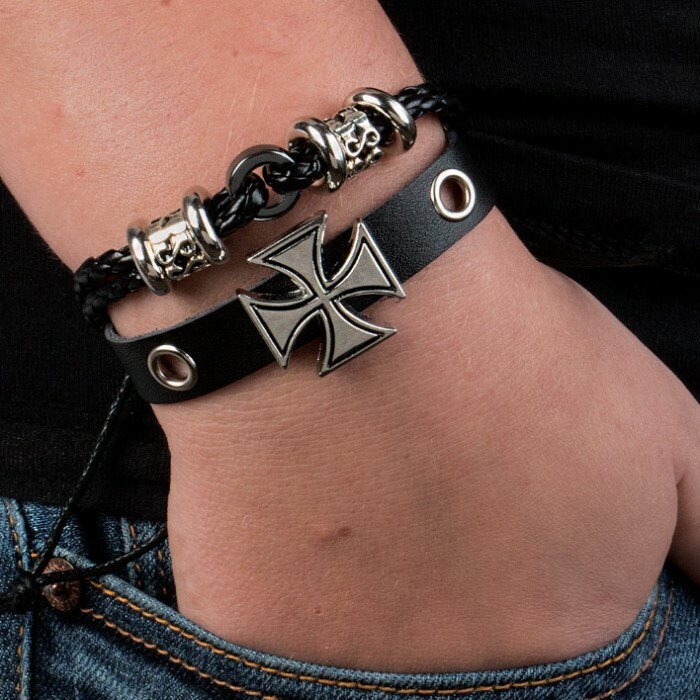 It is two bracelets in one, which makes it aesthetically appealing. The ornamentation features a cross. It is adjustable to fit.